Oakland – Supporters of prisoners who are on the 43rd day of a hunger strike are expressing outrage at an order signed today by a federal judge allowing strikers to be force fed, disregarding international human rights principles. 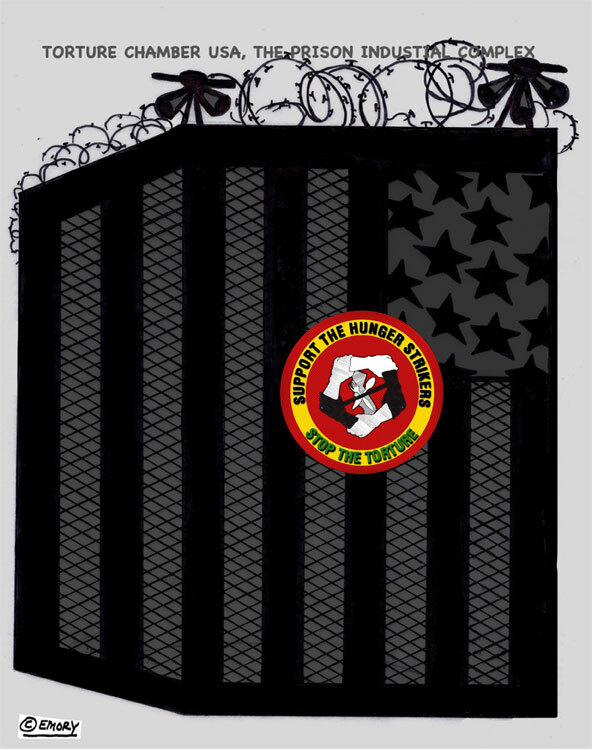 “CDCR justifies asking for the order to force feed by claiming that the widespread hunger strike is ‘orchestrated’ by gangs, that the massive participation and support for the demands is coerced and that prisoners have signed ‘do not resuscitate’ directives under duress,” according to Claude Marks of the Prisoner Hunger Strike Solidarity Coalition. Thousands of prisoners have united to challenge the torture of prolonged isolation, demanding an accountable process to challenge the gang validations that have kept them in security housing for decades. Isaac Ontiveros and Azadeh Zohrabi are spokespersons for the Prisoner Hunger Strike Solidarity coalition. Ontiveros can be reached at (510) 444-0484 or isaac@criticalresistance.org. Robert Lowell called it “man’s lovely, peculiar power to choose life and die” – the ability of human beings to give up their lives willingly in service of a cause greater than their individual selves. The state of California, with the approval of a federal judge, now has the ability to deny even this last, most desperate human right to the dozens of men in solitary confinement who are risking death after six full weeks of hunger striking. According to the AP, as many as 70 men are in dire condition and may be candidates for force-feeding. 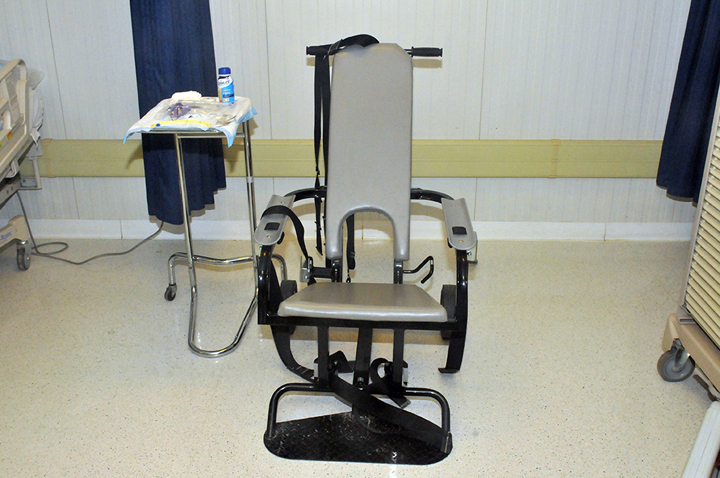 They will join the dozens of men at Guantanamo who have been fed for months via tubes forced through their noses and down their throats into their stomachs – a practice that is clearly in violation of international law. Gov. Jerry Brown stands silent but is presumably in agreement with the force-feeding strategy, which will prevent the strikers from becoming martyrs. The state has chosen this course rather than negotiate seriously with the hunger strikers. California Corrections head Jeffrey Beard has called the 43-day strike a “gang power play,” although the former gang leaders are among the starving. Gov. Jerry Brown stands silent. But presumably they are in agreement with the force-feeding strategy, which will prevent the strikers from becoming martyrs. James Ridgeway and Jean Casella are co-editors of Solitary Watch, an innovative public website aimed at bringing the widespread use of solitary confinement out of the shadows and into the light of the public square. Solitary Watch, where this story first appeared, provides the public – as well as practicing attorneys, legal scholars, law enforcement and corrections officers, policymakers, educators, advocates and prisoners – with the first centralized, comprehensive source of information on solitary confinement in the United States. Does anyone know how many signed "do not resuscitate" orders? I am still sure that forced fed strike is not gonna give any solution to the problem those have been arisen by the supporters. Let's see for how long it works to them.